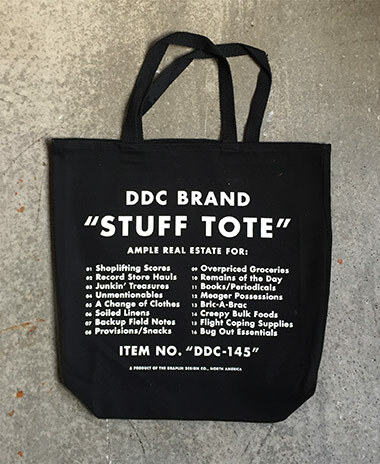 Draplin Design Co.: DDC-145 "DDC Tote Bag"
You carry stuff. We carry stuff. These will get the job done. 01. Thick inks on durable cotton. 03. 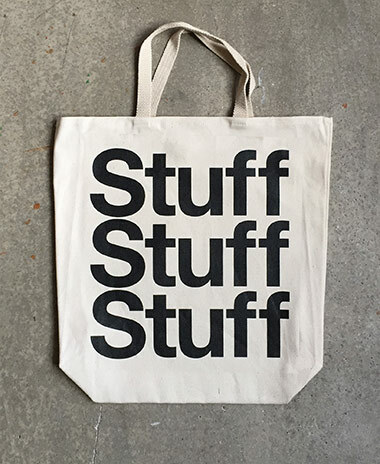 Great for groceries, records, unmentionables, stuff, things and bric-a-brac. 05. 1-color graphic printed on both sides!